As a public health researcher with a focus on behavior change and complex interventions, I am more interested in studying how to get children to adhere to their asthma medication regimen rather than the mechanisms of inflammatory asthma. I am currently studying the risk factors associated with asthma attacks in children, which include among others, sub-optimal medication use, poverty, and access to healthcare. The aim of this research is to understand what risk factors for severe exacerbations – such as asthma attacks that send children to the emergency room – exist, thereby enabling healthcare and public health professionals to mitigate the risks of these ‘at-risk’ children. My interests have nearly always been in applied in nature, however I understand that basic research underpins everything thing that we do in public health. Animal research is foundational to what we do as public health professionals. Without animal research, we would not be able to mitigate the risk factors these children have as we would not have the asthma medications we do today. It seems that the sphere of public health shies away from discussing and supporting animal research; I’ve had colleagues tell me to be careful of talking too openly about my experiences in animal research outreach, for fear of alienating others – and potentially hindering my career. However, I strongly believe that public health professionals should be more open to discussing and supporting animal research. It is imperative to the continuation of both public health research and its application. To illustrate this point, let’s use asthma as an example. The most effective medications for managing asthma are aptly named preventer and reliever medications. Preventer medications contain glucocorticosteriods and they work to prevent symptoms by reducing swelling, sensitivity, and inflammation in the airways. On the other hand, Reliever medications, or bronchodilators, work to open the airways and rapidly relieve symptoms. Animal research has played an important role in the discovery of both glucocorticosteriods and bronchodilators. Glucocorticosteriods were developed using mouse models and the derived biomedical pathways. Bronchodilators were developed the 1960s, as a result of Otto Loewi’s research on adrenaline and other neurotransmitters. Loewi used two beating frog hearts, aligned near each other, to demonstrated that slowing the pulse of the one heart and then circulating that perfusate through the other heart that it caused the other unaltered heart to also slow. He found that the same was true when he repeated the experiment, this time increasing the heart rate. This discovery proved that nerve cell communication is chemical rather than electrical, which led to the discovery of the neurotransmitter acetylcholine, and provided the foundation for future neurotransmitter research. 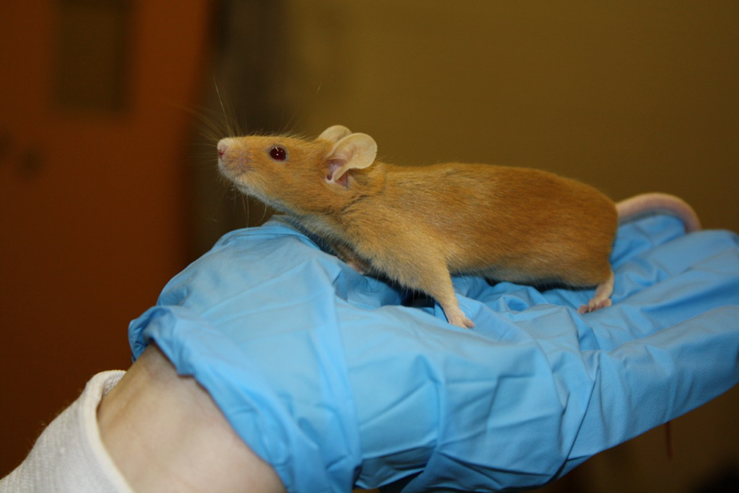 Glucocorticosteroids were developed using mouse models. In relation to asthma, bronchodilators (beta2 agonists in particular) mimic the sympathetic nervous system discovered through Loewi’s famous experiment and allow health professionals to synthetically relieve the symptoms of asthma. Other studies using mice models have also elucidated the biomolecular mechanisms of airway hyperresponsiveness in asthma. Without Loewi’s initial experiment relying animal animal research, we would not be able to treat asthma as well as we do today. Without animal research, asthma management would likely rely on alternative medications that offer little in the way in relief; without effective treatment applied asthma research would focus only on prevention. One of the reasons I was drawn towards public health and applied research was the focus on environmental, cultural, and large system-level factors that influence health, but this can come at the expense of ignoring the wealth of basic research that allows us to study these upper-level factors. When we forget the foundational work that lets us pursue our passions, everyone suffers. Public health professionals, at the very least, need to acknowledge–if not actively advocate for—the value animal research has in improving the health of the broader public and should actively advocate for. 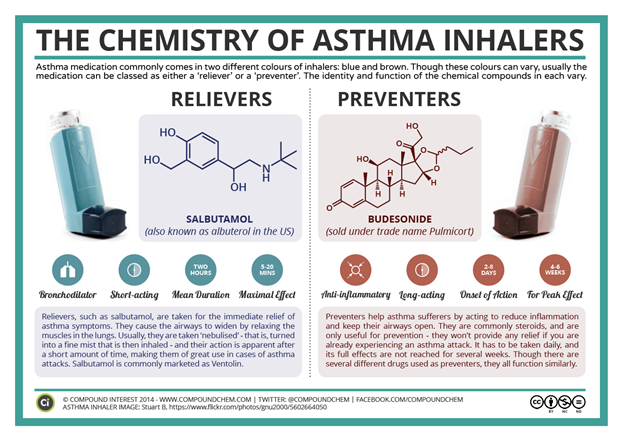 In writing this post, I had to research on how asthma medications came into being. Skimming through the biomedical literature was daunting (and confusing at times), but there are great resources already created to help clarify points for the those less familiar with biomedical research, such as myself – Understanding Animal Research, Animal Research.Info, and this website, Speaking of Research are great resources. I encourage public health professionals to educate themselves in how animal research allows them to do the work they do today. Then share that knowledge, – be that over Twitter, a blog, an email to colleagues, the options are endless. Support well-evidenced and humane animal research, because our work depends on it. Posted on June 26, 2017 by EditorPosted in Guest Post, News, Outreach NewsTagged animal research, asthma, glucocorticoids, inhalers, mice research. Previous Previous post: Research Roundup: Cholesterol vaccine in mice, zebrafish & osteoporosis, new cytomegalovirus treatment, and more! Loved this article and so important to share as widely as possible to disseminate the facts behind animal research and all its benefits to modern Science here in the UK. I think schools would benefit from understanding the animal research behind asthma health issues, particularly being that it is such a common symptom today. Wonderful paragraph that sums up my views: ‘When we forget the foundational work that lets us pursue our passions, everyone suffers. Public health professionals, at the very least, need to acknowledge–if not actively advocate for—the value animal research has in improving the health of the broader public and should actively advocate for’.